Bridgeway Academy has been an accredited homeschooling academy since 1989. Their goal is to provide homeschool families everything they need to give their children the best education available. They are a Christian company that produce education plans that universities are taking quite seriously. 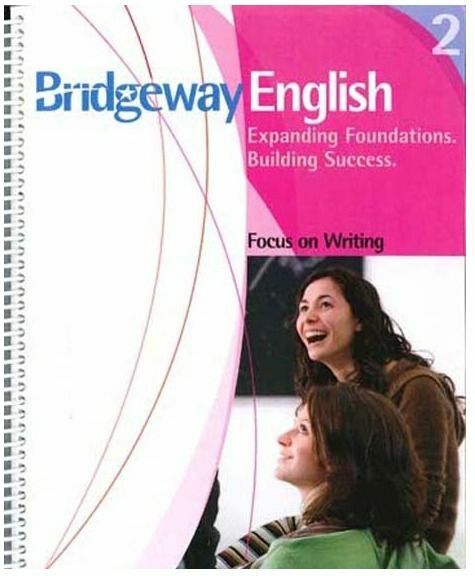 We received the Bridgeway English 1 Focus on Grammar & Bridgeway English 2 Focus on Writing with the English 1 & 2 Teacher Answer Key. This is a full year remedial English curriculum with English 1 focusing on Grammar and English 2 focusing on Writing. The student workbooks are self-instructional and motivational. There are Section Reviews and Self-Tests to ensure mastery of the material taught. This program will work great for 9-12 grade students who need a complete refresher on Grammar and Writing. It is also great for students in the 7-8 grades to make sure they are ready for the high school level. 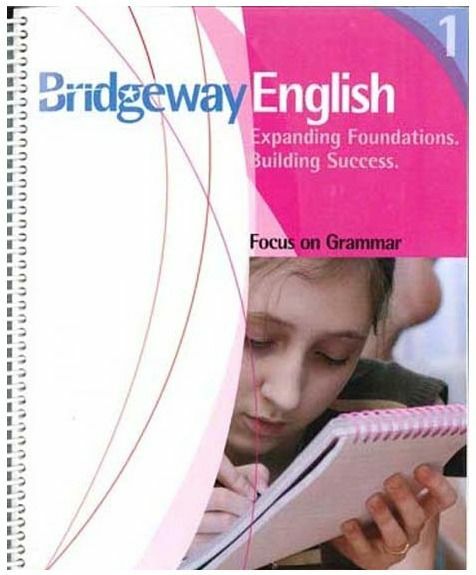 Bridgeway English 1 Focus on Grammar: Expanding Foundations and Building Success is a spiral bound workbook divided into 6 Paks. Each Pak contains worksheets, reviews, a self-test, and a final test. It is written in a step by step fashion with each skill building on the previous one. It covers; subject and predicate, four types of sentences, sentence fragments, run-on sentences, compound sentences, noun functions, pronouns, adjectives, adverbs, prepositions and prepositional phrases, conjunctions, interjections, and grammar review. Bridgeway English 2 Focus on Writing: Expanding Foundation and Building Success is a spiral bound workbook divided into 6 Paks. Each Pak contains worksheets, review, self-test, and a final test. It is written in a step by step fashion with each skill building on the previous one. It covers; clauses, sentence variety, subject/verb agreement, grammar and mechanics, writing skills, rules of capitalization, rules of punctuation, proofreading, editing, letter writing, business writing, study skills, critical thinking and reasoning, and learning about fact versus fiction. 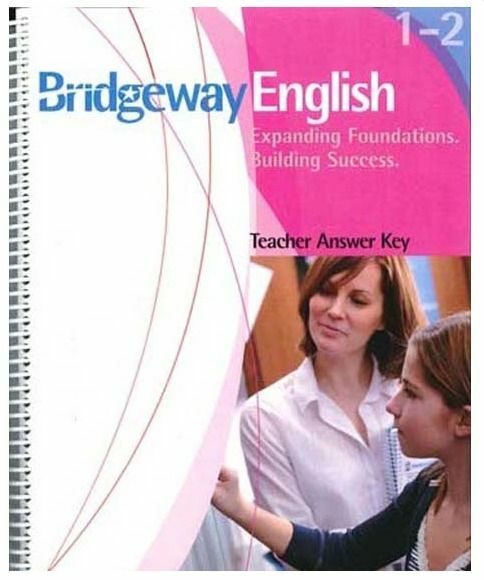 Bridgeway English 1-2 Teacher Answer Key is spiral bound. Answers to all 12 Paks in English 1 & English 2 are included. Each page in the teacher book has copies of 2 pages from the student workbook with the answers filled in. Amber (age 12) & Delaney (age 11) have always learned the same things when it comes to English partly because they are so close in age, but also because Delaney loves anything having to do with language arts. I was planning on using both English 1 and English 2 with Amber, but when Delaney saw the workbooks she wanted one too. So Delaney has been working on English 1 and Amber has been using English 2. Both of the workbooks are set up in the same format. Throughout both workbooks there are encouraging quotes, sayings, and cute little clip art, and each time there is new topic it is explained in a grey box. This made it easy for my girls if they needed to flip back to refresh their memory because they stand our from the exercises and they remembered what picture was on the page. I think they are considered remedial because they cover so many things, but with fewer exercises for each topic. Amber is actually loving this! She likes that there aren't a lot of problems to answer and they both like the workbook format so they can mark their parts of speech, and phrases in the book. Bridgeway English is working for my girls, and I know other Bridgeway products are working for more Crew members. Some of them received Learning Labs including Magic School House Social Studies, Fun With Science Marine Biology, and an online Easy Essay Writing class. Sale over to the Crew blog to read those reviews.